Our schools, SS. Peter and Paul Nursery & Primary School and St. John Nursery & Primary School, were established more than 10 years ago, even if we dedicated great efforts to the youth education in Nigeria for the last 30 years ago. We are guided by our passion to educate the younger generations and to provide affordable educational opportunities for our students. We work effortlessly to help them nurture their academic talents and personal awareness. The hinge pin of our educational proposal is the relationship between the educator and the student. Only a human being can affirm the meaning of any given reality, hence it is through this relation that the child is introduced to the world. Our schools’ programmes support the growth and discovery process of each student through a multi-disciplinary approach: literature, science, art, reading, mathematics, sport activities and excursions. All our educational activities are taught in ways which our children to experience themselves and the reality around them. The daily accurate and patient didactic work of our teachers is focused on fostering each student’s talents, according to their uniqueness. We bet on their own capabilities, stimulating their curiosity and resourcefulness. 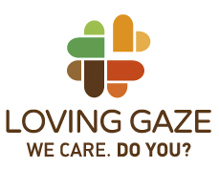 Loving Gaze aims at offering our children’s families an accessible and concrete help in achieving the great task which goes with education: we believe that education is really about forming a truly mature and rounded human person, living in communion with others. 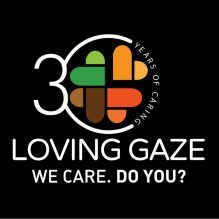 We support their families’ efforts towards education and accompany our pupils to assume responsibility for shaping their destiny in freedom and personal integrity.